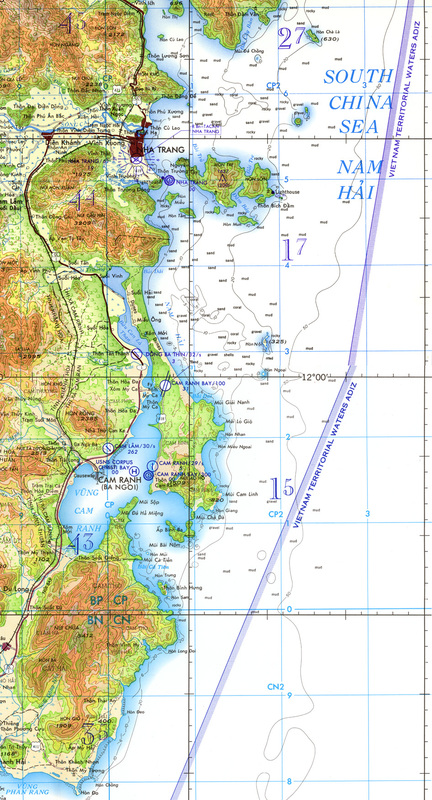 As luck would have it, Cam Ranh Bay falls right at the edge of two map sheets. I scanned both and assembled them into one image, but if you look closely just above the runway area, you will be able to see minor misalignment between the two sheets. Unless you have a very high resolution monitor, you will need to pan around to see all of this map.